Curacao is entering the modern world!! Safe valuable vacation time - go online before your Curacao trip and fill in the ED forms. Read more … Curacao is entering the modern world!! 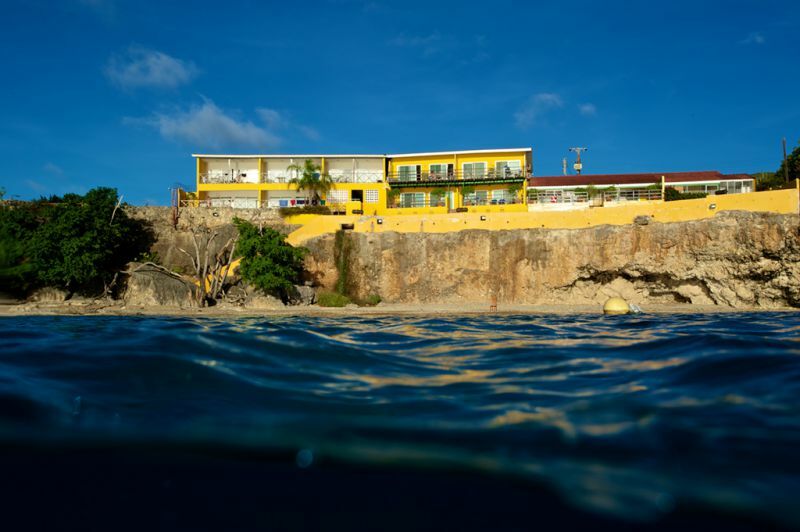 Welcome to Curaçao & All West Apartments & Diving. Since 1996, All West Apartments & Diving has been located in the small fishing village of "Westpunt". We are known for our nice atmosphere and individual care of our guests. The area of Westpunt is located at the far west end of the island. Picture yourself in the most wonderful part of our island. You can dream your time away along the sea shore and share fun time in the sun with friends and loved ones. Surrounded by the tropical hills, you can watch spectacular sunsets and gaze at the fantastic star filled skies. Here nature lovers can indulge in the Christoffel National Park and Shete Boka National Park. In these parks you will find plenty to see and do during your stay. The beach below the apartments is perfect for swimming, snorkeling and of course diving.